To know me and this blog is to know this is my mantra. Infertility can be very isolating. When you look around and everyone has a kids, or is pregnant, or asking you about getting pregnant, you begin to feel this sense of separation. I’ve said here a few times that there is a feeling that you’re not a complete woman. Your body is betraying you every. single. day. How do you explain your situation or answer people’s questions without drawing pity, which you definitely don’t want, or those awkward “just relax” or “keep trying” responses? So, you decide it’s better to keep it to yourself. Who needs that extra drama? You want to talk to your best friend, or your mom about it, but how can you really? They don’t truly understand. They mean well and love you, and they want to support you, but its a hard thing to relate to. My best friend has 5, yes 5 children! (who are awesome by the way) I keep my fertility struggle conversations with her to a minimum. Not because she doesn’t care. Not because she is uninterested (she asks for updates all the time), but because how can she understand? Trouble getting pregnant is a foreign concept to her. She is the exact opposite of infertility. I was watching Teen Mom (the new episodes with original girls) the other day, and one of them went in for a wellness exam. The doctor was listening to the baby’s heartbeat, and asked if she could feel the baby moving. I started crying. Why? Because that is an experience I may never have. When you have those types of moments, who can understand that rush of emotion other than someone else who is or has been where you are? But think about it: 1 in 8 couples are facing infertility. So, you are not alone. The next time you’re at church (mosque, synagogue), at a family reunion, dinner party, on the train, at the mall, in the hair salon, running a 5K, know that at least one more woman (or man) in the crowd is struggling with fertility. I know it can be emotionally draining. I know it makes you vulnerable. I know sometimes you just don’t want to be bothered. But…. Share your story. There are women that need to hear from you. They need the support and assurance that they are not alone. It doesn’t have to be a big thing. You don’t have to tell the world, just be there for one person. That can make all the difference. Start a support group at your church or community group. Post about NIAW on social media. 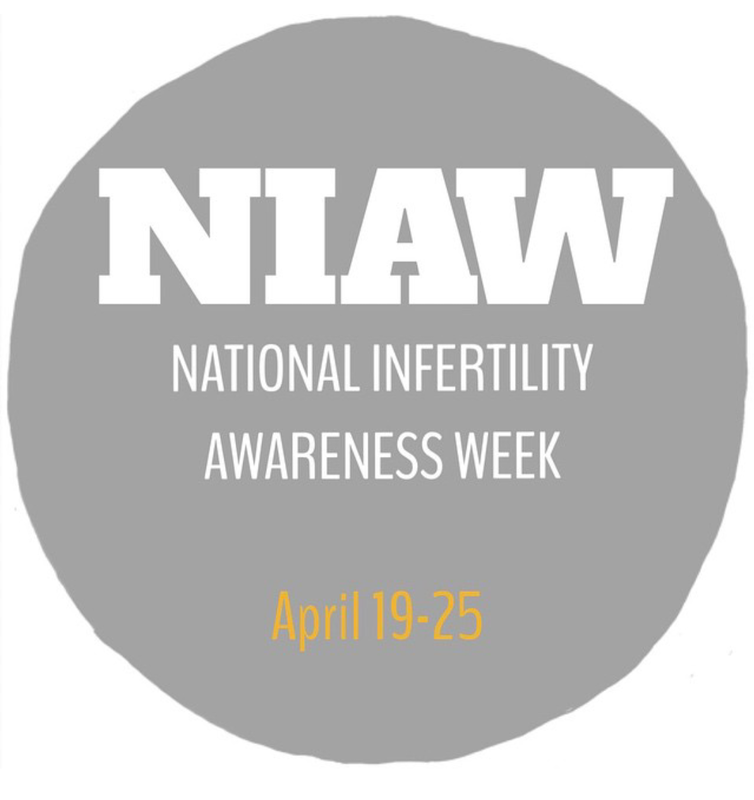 Share a link to NIAW and Resolve. I will be honest, what has helped me a lot is having someone to talk to, really two people. I have a co-worked that had a myomectomy about 4 weeks before I had mine. We started talking about our fibroid battles, and found out we have similar fertility issues. We share articles, random facts, advice from doctors, and sometimes, just our frustrations. I also have a friend who is about 10 years older than me, but she had infertility issues and had two wonderful sons via IVF. This was in the 90s when it was still a weird and strange thing, especially in the Black community. Her support and advice has meant a lot. Then of course, I have this blog. I know my presence isn’t big, and its not the flashiest or most consistent blog out there, but to know that people visit or follow my blog, and I am doing my part to help someone make it through; providing information, telling my story, and maybe providing a laugh or distraction, makes me happy. So Maybe Mamas, You Are Not Alone! Share your story this week and beyond.